KYIV, Ukraine—Trench warfare is a true test of a soldier’s grit. The constant prospect of death—whether by artillery, rockets, or snipers—gnaws at you every waking moment. The truth is, there’s no way to stay safe, other than to hide underground. Some soldiers simply laugh at the danger and treat the war like a sport. Others, however, grow quiet and gloomy, imagining at every moment how they could die. Most soldiers come home from war as different people. Some return with demons. Others carry an unshakeable suspicion that nothing in civilian life could ever rival the emotional highs and lows of war. Yet, for Ukraine’s older soldiers—specifically, those who can remember life in the Soviet Union—there is another, singular lesson to be gleaned from their current struggle, which may elude their younger comrades. Those older soldiers will likely tell you that, while trench warfare is tough, life under Soviet communism was a true test of their desire to live in freedom. After nearly five years of war, Ukrainian troops remain hunkered down in trenches and ad hoc forts along a 250-mile-long front line in Ukraine’s embattled eastern Donbas region. There, they continue to fight against a combined force of pro-Russian separatists, foreign mercenaries, and Russian regulars. After nearly five years of constant combat, the war in Ukraine is ongoing. The conflict has killed more 13,000 Ukrainians. As of this article’s penning in March 2019, the war in eastern Ukraine has killed more than 13,000 Ukrainians and displaced about 1.7 million people. 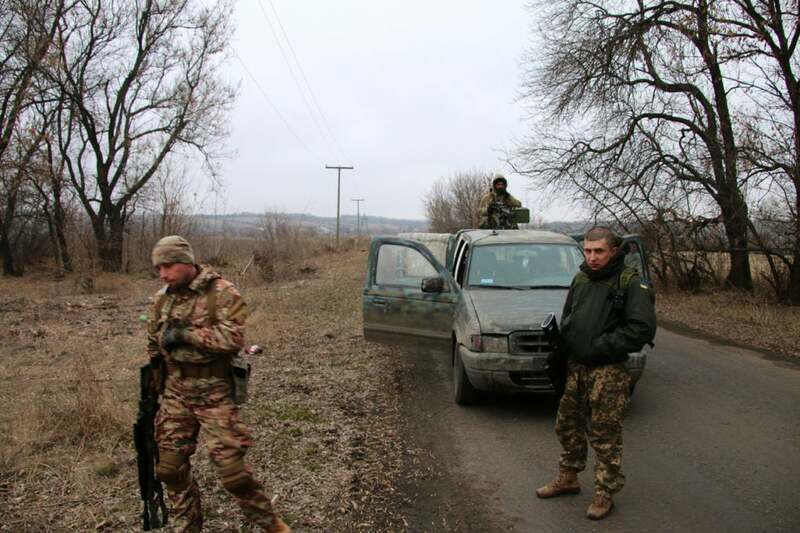 Over the course of the war, I’ve made many trips out to the warzone in eastern Ukraine. Looking back, a few exceptional experiences stand apart, including one evening in March 2016, when I met two older Ukrainian soldiers who had both resisted Moscow’s authority in the Soviet era. Remarkably, they considered it their duty to carry on the struggle at an age when most people would consider retiring, collecting a pension, or simply enjoying time with family. Born in 1941, Melnyk served as a soldier in the Red Army in the 1960s. During the Soviet era, he resisted what he characterized as “Russian oppression” under the guise of the Soviet Union’s authority. He was on the run from the KGB for decades, he recalled, due to his anti-Soviet activities as a Ukrainian nationalist. By Melnyk’s account, he lived most of his adult life in hiding. Even at 75, Melnyk’s unbowed frame appeared fit and trim under his military fatigues. 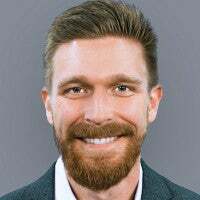 With a bushy, white goatee and piercing eyes, he wielded a commanding presence—as evidenced by the respect he elicited from the younger soldiers. War, after all, is about more than physical strength. The mind often matters more than muscles. Vasyl Kovbel hugs a civilian volunteer goodbye at a base near the front lines in eastern Ukraine. In 2014, at the age of 73, Melnyk volunteered to go to war against what he saw as a Russian invasion of his homeland. For him, it was simply the latest chapter in Ukraine’s fight for freedom from Russia—a conflict spanning his whole life. After Russia invaded Ukraine in 2014, Melnyk’s two sons, both in their mid-20s, also volunteered to be soldiers and served in the regular army. On that March day in 2016, melted snow and early spring rains had turned the earth to mud at a former Soviet children’s camp tucked away in the woods outside the city of Dnipro. Located about a day’s drive from the front lines, this compound had become a forward operating base for the Ukrainian Right Sector volunteer battalion. 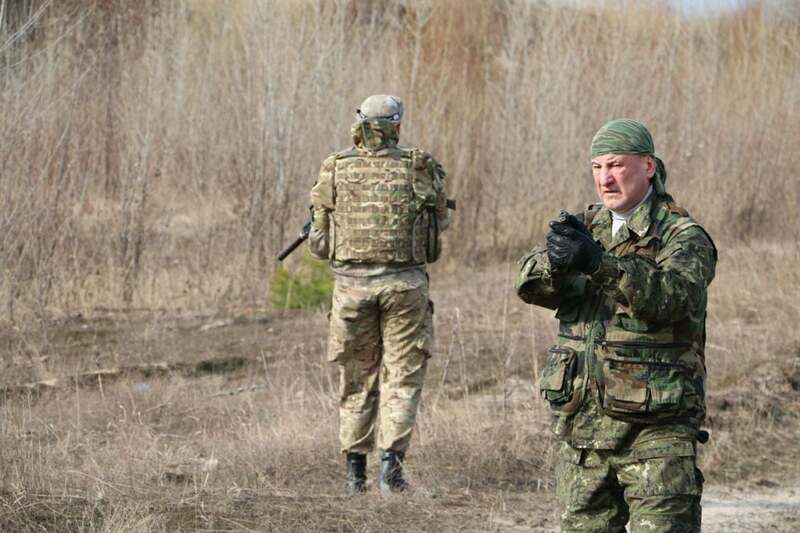 Paramilitary groups like Right Sector had bolstered the under-equipped and outmatched regular Ukrainian army in the opening months of the war. For its part, Right Sector maintains a controversial reputation in Ukraine due to its nationalistic leanings and accusations of prisoner abuse. Yet, on this day, there was little evidence of the war’s dark side. During down time, soldiers would play Ping-Pong or lift weights. A small crowd usually gathered outside the entrance to the chow hall, where soldiers smoked cigarettes and talked. In the evenings, they would retreat to their dorms. As daylight faded, the sounds of heavy metal and rap music blasted from some open windows. In other rooms, soldiers read quietly or used social media to communicate with family and friends back home. 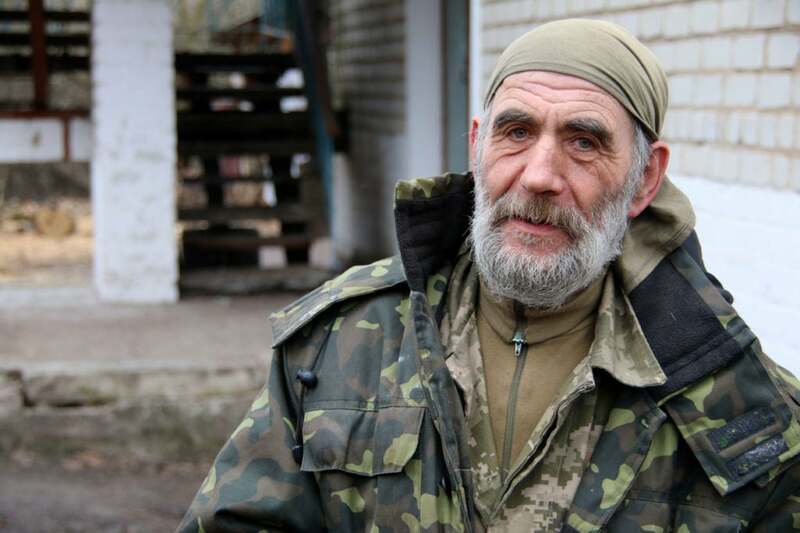 Memories of life in the Soviet Union inspire many of Ukraine’s older soldiers to fight. By the spring of 2016, the war was no longer an acute, existential crisis for Ukraine. Following a February 2015 cease-fire, known as Minsk II, the conflict had, by that time, become a static, trench war stalemate, marked by daily exchanges of indirect weapons fire, as well as a steady trickle of casualties—both military and civilian. Moreover, Ukraine’s regular army was by then on the rebound, rapidly regaining its strength and thereby lessening the country’s reliance on paramilitary outfits like Right Sector to hold the line. Thus, a different kind of battle loomed for many of Right Sector’s troops who’d fought in the war from its beginning. They were preparing to return home. After dinner a group of about 40 soldiers pulled up chairs to listen to a team of visiting volunteer psychologists who were on hand to discuss post-traumatic stress. With a little coaxing from the psychologists, the soldiers began to open up. As the evening went on, the soldiers dropped their previously guarded demeanor and spoke frankly, sometimes employing colorful language, as soldiers often do, to make their points. Then, amid the din of conversation, one gruff voice rose above the others. A hush fell over the room. Moments later, the other, younger soldiers cautiously resumed their conversations. 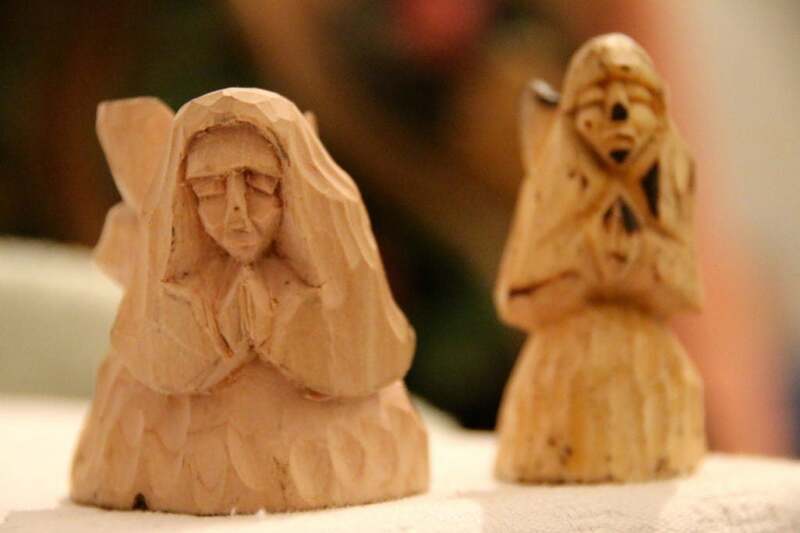 Ukrainian soldier Vasyl Kovbel, 62, carved religious icons as gifts for a team of volunteer psychologists visiting his unit. When the psychologists were finished, I pulled Melnyk aside and asked if he felt like he’d earned the right to let younger soldiers fight in his place. At age 75, hadn’t he done enough for his country? Later that evening, 62-year-old Kovbel arrived at the room I was sharing with some of the volunteer psychologists. He came offering coffee and cookies, as well as several small religious icons that he’d carved from wood. “We were forbidden from talking about religion in the USSR,” Kovbel said, offering his gifts. After he begrudgingly admitted his years, I asked Kovbel what kept him going—how was he able to match the physical fortitude of men one-third his age? Kovbel had a salt-and-pepper beard, dark complexion, and wore a green bandana wrapped around his head. He spoke with the ever-present hint of a smile on his lips and his hands held clasped behind his back. As a young man, Kovbel resisted Soviet rule in Ukraine. He recalled painting the side of a school building with a blue and yellow mural (Ukraine’s national colors) when he was 24. Afterward, the school director dutifully reported him to the KGB, Kovbel said. 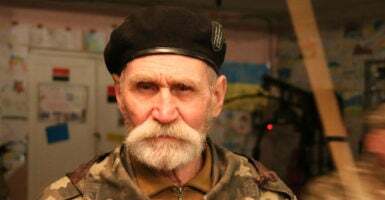 “The dream of Ukrainian independence existed in the USSR, but we couldn’t talk about it,” 62-year-old Ukrainian soldier Vasyl Kovbel said. A carpenter by trade, Kovbel went on to become an artist; a new career that ultimately earned him the scorn of Soviet officials due to the religious themes he often included in his sketches. Despite the negative consequences for his artistic career, Kovbel’s faith in God sustained his strength of character and spirit throughout tough times in the Soviet Union. His faith has served him well in war, too. After facing many battles, he attributed his survival to prayer. At the outbreak of war in 2014, Kovbel saw echoes of the Soviet past in the modern conflict. Thus, his subsequent desire to go to war was not fueled by a hatred for Russia. Rather, it was his steadfast belief in Ukraine’s right to independence, as well as dark memories of life under Soviet communism, which inspired him to take up arms. At first, Kovbel tried to enlist in Ukraine’s regular army. But he was too old, the recruiters said. So, he volunteered for Right Sector and soon found himself among comrades in arms who were often decades younger. The old soldier went on explaining that his then-32-year-old son had volunteered to serve in the regular army. 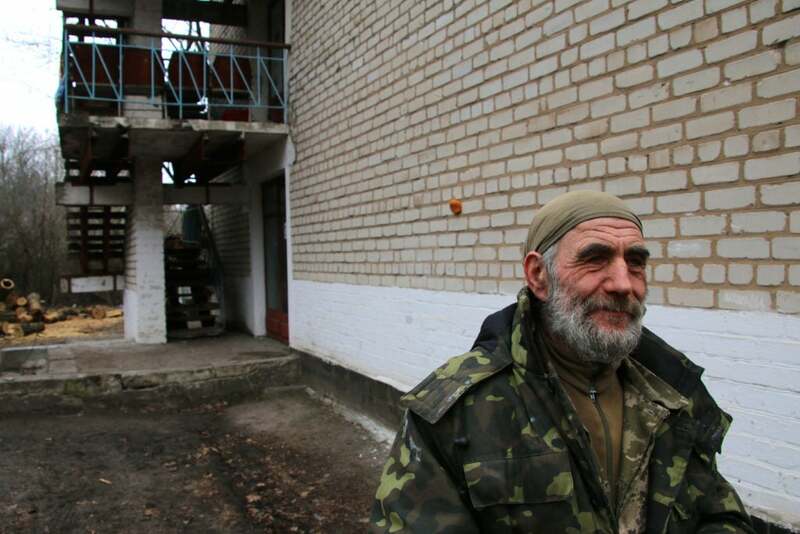 Before parting, I asked Kovbel if he thought he’d live long enough to see Ukraine finally enjoy peace and prosperity. After living under the shadows of Soviet communism and war, I wondered, did he still have hope for a better future?